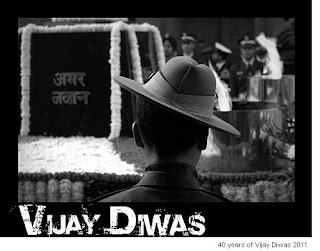 It was 16th december 1971, when Chief of pakistan army General Aamir Abdullah Khan Niazi surrendered himself with other 93000 army men, in front of the major general Jagjit Singh Arora of India in the Ramna race course in Dhaka after their defeat in war, Jagjit Singh was also the allied commander of Bangladesh Liberation war and India. This event marked the two victories, one of India which is known as Vijay Diwas over Pakistan and other is the victory of Liberation of Bangladesh war group. The duration of war was just 48 hours, within this small duration Indian army allied with Bangladesh retaliated the Air force of Pakistan from Agra, Amritsar, Srinagar to their own territory. As Pakistan's Air force had started targeting the Indian's army and air force base on 14th december 1971. Just few days back when the then Prime Minister of India had asked the Air Marshal Manekshaw about the preparation, he had told, we are not prepared and we will attack only when we will be prepared. But the credit of this whole plan and win of Indian troop over Pakisatn goes to Lt. Gen JFR Jacob, chief of staff, easter army command wing during the 1971 war, for his meticulous preparation in the eastern side of pakistan Now known as Bangladesh. In this war around 3900 indian soldiers has got martyrdom and around 9851 were injured. So, on this day at India gate, the chiefs of three wings pay homage to the Amar Jawan Jyoti.